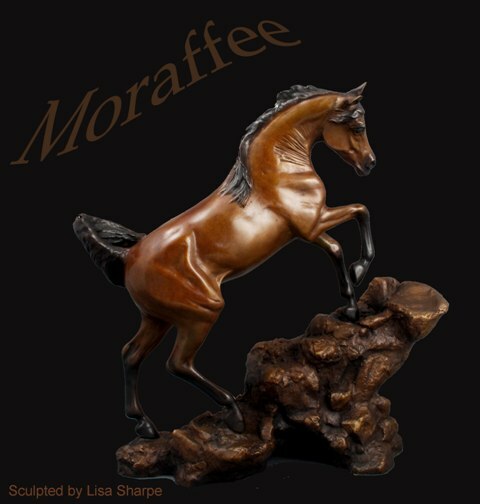 Moraffee, a table top bronze sculpture by Lisa Sharpe, has been accepted to the prestigious American Academy of Equine Art juried show and will be on display during the World Equestrian Games in Kentucky, USA. Moraffee was inspired by the infamous Cougar Rock climb encountered during the Tevis Cup endurance race in California. She is depicting a playful working Arabian mare dreaming about the fun of the climb. The sculpture is a new release and is limited to an edition of 10. The piece is approximately 11 ½” tall by 11” long and 3 ½” wide and will be available for purchase for $4100 USD. 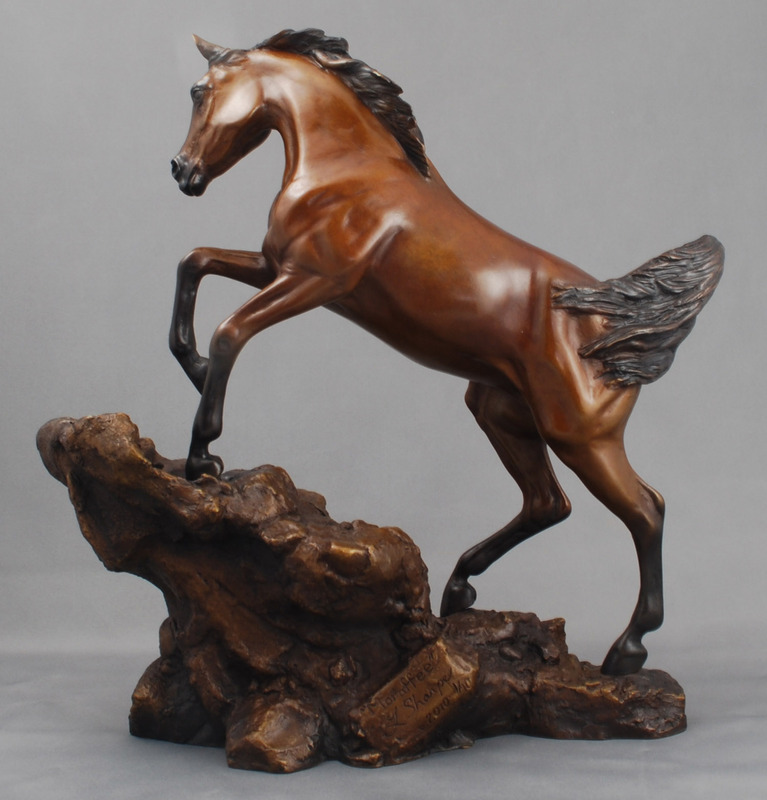 The American Academy of Equine Art was established in 1980 by a group of ten distinguished artists, individually famed for their work on equine subjects. Their aim was to maintain a degree of excellence within the genre, and to promote the academic representation of the equine form in drawing, painting and sculpture. Each fall the Academy hosts a Juried Exhibition of original equine art selecting from the many applications. This year the show will be held from September 17, 2010 to October 22, 2010 at the Scott County Arts and Cultural Center/Gallery located only minutes from the Kentucky Horse Park in Georgetown. Gallery hours will be extended hours during the World Equestrian Games from September 25-October 10, 2010. Come by and meet Lisa Sharpe at the gallery reception on Friday September 17 from 6:30 to 9:00 pm or Saturday at noon. If you are unable to attend please contact the Artist, Lisa Sharpe before the show at lisa.sharpe@hotmail.com for more information on acquiring a piece of this limited sculpture.